With the high detail and technology available in google maps, we are able to use this to give you an accurate indication of the cost of pruning or removing a tree. Leave your details in the form and we will send you an online quote. 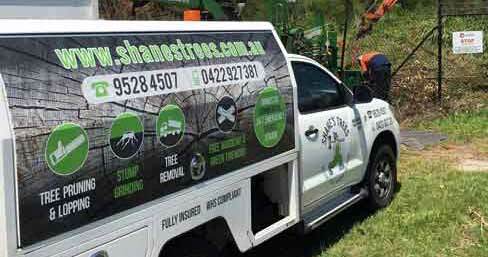 Shane’s Trees Professional Arborists first began Tree Lopping in the Sutherland Shire over 35 years ago. The business was initially driven by Tommy Lawson, who spent the next few decades building the business into the success it is today. 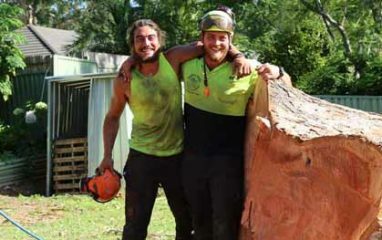 Over the years Tommy has been accompanied by his son Ben, who has been learning the art of Tree Removal safely from his father since he was strong enough to hold a chainsaw. Today Ben carries on the family business he has inherited from his father, and enjoys the unique challenges set by each individual job. 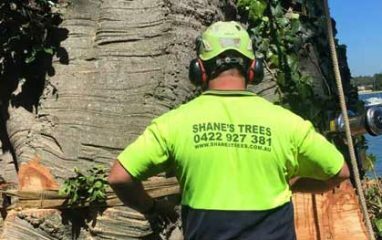 At Shane’s Trees we are very particular about giving second to none service to our clients and are extremely safety conscious. 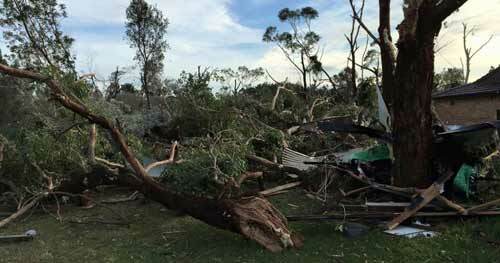 We are very aware of the risks involved with tree removal not only to staff, but also to our clients and their properties. We carry all the necessary qualifications and are 100% fully insured. 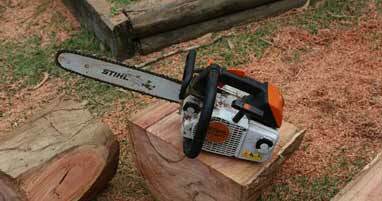 All our staff undergo years of training before taking on the responsibility of climbing and safely felling trees. 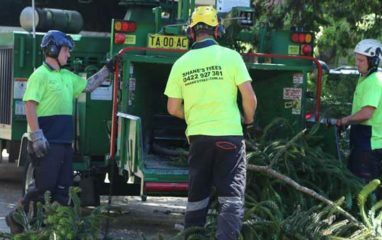 Our aim is to take the hassle and risk out of tree removal for our clients and provide peace of mind. Ben is happy to answer any questions you have about a particular tree and we offer a no obligation, free inspection and Tree Lopping Quotes for any job. 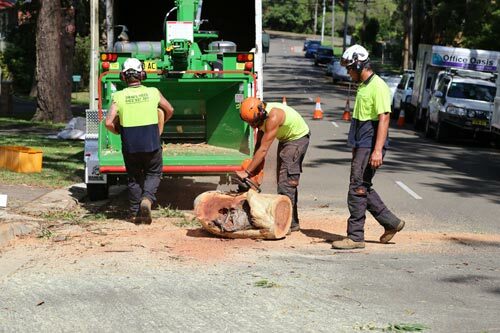 Over the past 35 years we have perfected how to safely remove dangerous and messy trees from around your property with minimal or no disturbance to the surrounding environment. Very efficient!! We had to get a special tree removed on a property we were working on for a clients out of town investment property and couldn’t wait to long. Shane’s trees were there the next day to remove the tree so we could continue with our work! Highly recommended! After getting some quotes and being messed around by a few different companies, I contacted Shane’s to cut back a few trees at my parents place. Ben got back to us with a quote immediately and was very competitive on price. Needless to say he won the work and within a week the guys had been out, completed the Job and left no mess behind. If you want an honest price and the job done right, give them a call. I had a number of quotes to remove some trees that were hanging dangerously over my house. 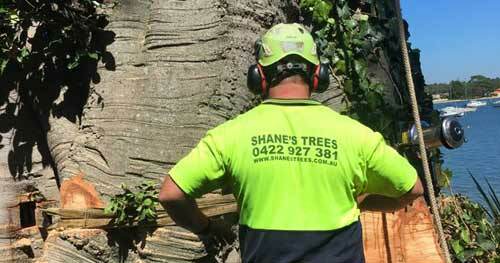 Shane’s Trees came in very competitive and on recommendations from a friend I chose them to do the job. They were incredibly efficient, professional and made it look easy. Great staff and company. Exceptional! We had a big gumtree fall on part of our house, Tony and his team were amazing removing the entire thing from our roof & gardens etc with no issues at all. They were fast, professional and tidied everything up when done. Manager Ben also very efficient & understanding, easy to deal with. Top job! Very professional & timely. We didn’t have to be at home – they let themselves in & left the yard tidier than it was!! Highly recommend Shane’s Trees! 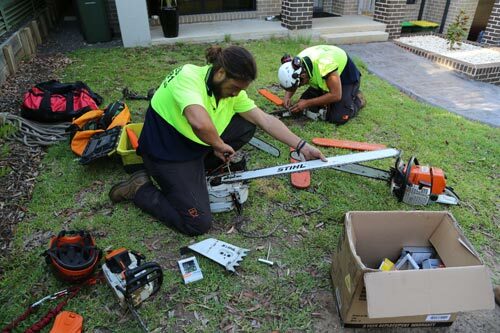 If you’re looking for an EXPERIENCED, HONEST, and FAIR PRICED arborist, then don’t call anyone else but SHANES TREES.We called a number of arborist’s in the area to visit our home to quote the removal of a 60 yr old grey gum tree, and some additional smaller trees. Ben came over the same day I called for a quote, was extremely professional, and honest with what he could and couldn’t do. He took the time to explain the process and was one of the only companies to get back to me within a day with a price that was below what others had quoted me. My experience with trades people in the past hasn’t been great, however I have to say that the level of service, we have received with Shanes Tress, has been amazing. Communication on timeframes to complete the job were excellent, the work they did, well exceeded our expectations and I’m so glad that we chose them for the job. Even my father in law commented on how good there were on our site.Thanks again Ben and Matt, I know where to go if I have any future needs, and I will no doubt be recommending you, to the people I know. Cheers! Absolutely brilliant! The team at Shane’s Trees recently removed a truly enormous tree from a very confined area in our backyard. 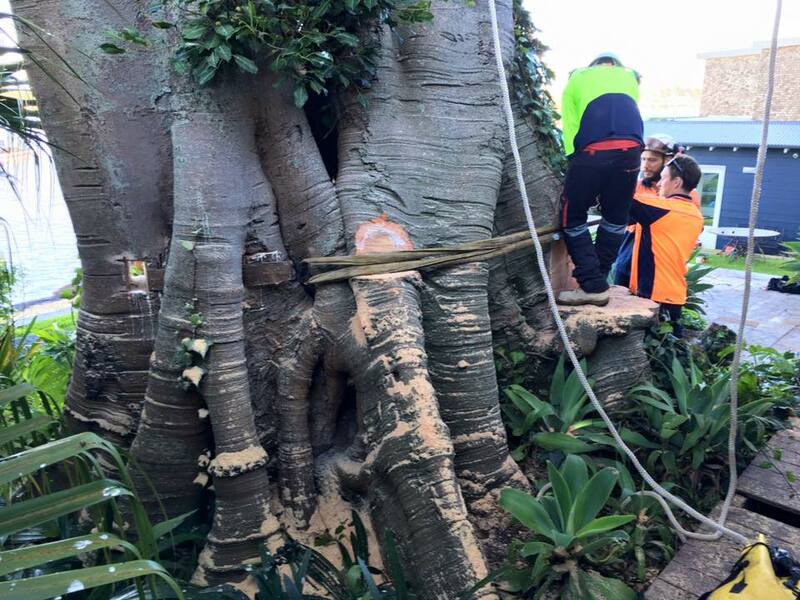 The tree was overhanging 10 neighbouring properties and the only access in and out was via a long 1m wide laneway. 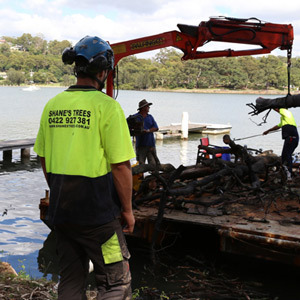 The service was outstanding, with excellent communication from the team both in the lead up to removing the tree and during the removal process. The team went above and beyond, cleaning all of the neighbour’s back yards thoroughly prior to leaving. 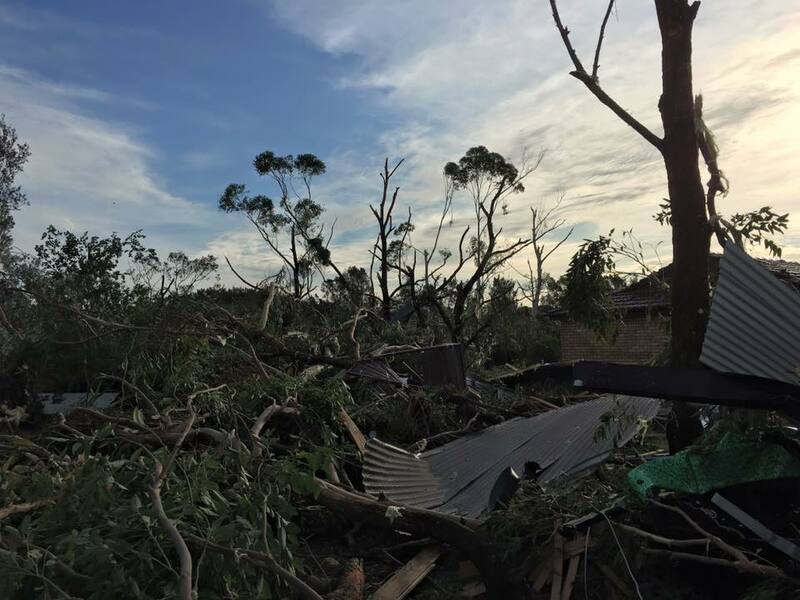 There was no damage to any property during what is surely one of the most difficult tree removal jobs you could imagine.The quote for the job was extremely reasonable given the significant degree of difficulty and huge amount of waste that needed to be removed. They had up to 8 men on site working in order to get the job done as quickly as possible to minimise disruption to ourselves and our neighbours.Would highly recommend their service to anyone. 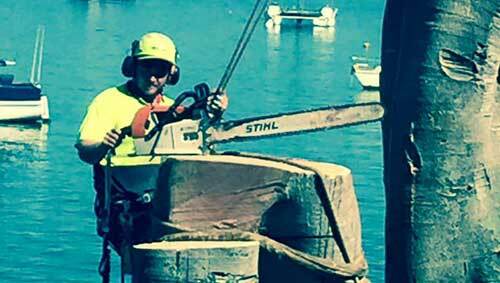 My husband and I do long hours and could not be at our home in Engadine for this job. The Shane’s Trees crew arranged to tie up our dogs “Bulvai” and “Zalie” while they worked. They fed them before they left and the apprentice stayed with them until we got home. Our yard was cleaner than when we left for work. Pat the apprentice cleaned up leaf litter from another tree while he waited for us to get home.I wish we could find other tradesman this amazing. We recently had a large dead tree removed and various clean-up required in a difficult location, over a fence on a sloping block in the driveway of a commercial business during trading. Put simply, you just wouldn’t use anyone else. Quick response time, knowledgeable staff, polite, efficient and tidy. These guys get the job done. Ella and the team were fantastic. They were the first to respond, turn up 7am next morning to inspect the tree and provide an electronic quote thereafter within 30 mins of visiting. The team were then flexible with my need to coordinate the removal of the tree with my sister who travelled interstate to take my elderly mother out for the day. Plus accommodate a last minute change to the quote to remove the offending branch leaning against the balcony and house, instead of the tree. Consequently my mother has not noticed minimising the trauma for everyone in the family. Prompt quoting and short lead time to work being done.Excellent job done by very competent friendly crew.Did exactly what was requested with a thorough clean up afterwards.Very competitive pricing with no surprises. Did what they said they would. Reasonably priced, on time and cleaned up far better than I could have expected.Ben and his team know their stuff. 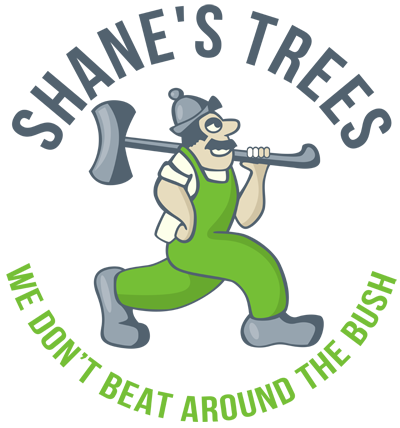 It’s rare to get reliable tradesmen! This crew has blown me away with their professionalism and efficiency.They solved my tree issues in a matter of hours. tHANKSWill recommend to all my friends at bingo. 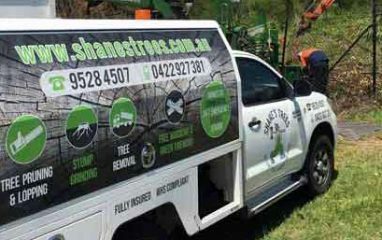 I would highly recommend the Shane’s Trees team. 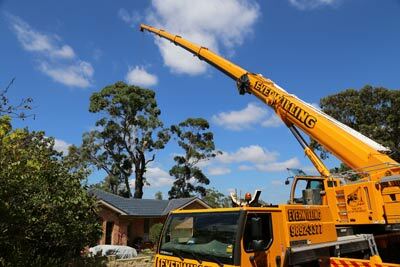 I requested a quote to have a tree removed and a member of the team arrived the same day with expert knowledge and a plethora of advice regarding the maintenance of the trees and shrubbery on my property. The job was complete by the very next day including an immaculate clean up. The team were highly professional, safe, and reliable. 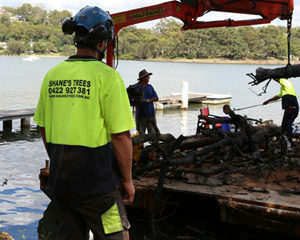 I will definitely be using the Shane’s Trees team again! Had 11 big tree stumps grinded and removed. Got a quote emailed to me on the day they inspected the job, agreed on a figure no variations. These guys turned up with 2 massive machine and had it all done in 1 day, very happy. I also had a hick-up and paid them a couple weeks late, Ben was very accommodating. Would highly recommend. 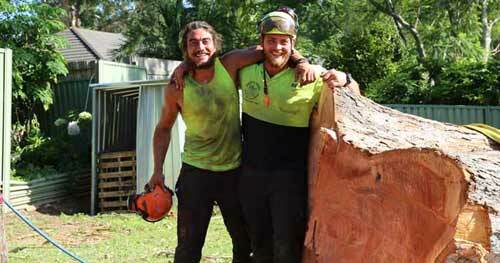 We recently had a large Gum removed from our backyard by Ben and the Shane’s Trees crew. Ben leads a team of true professionals. The crew was punctual, efficient, safe and personable. Thanks so much for a job well done – I can highly recommend!